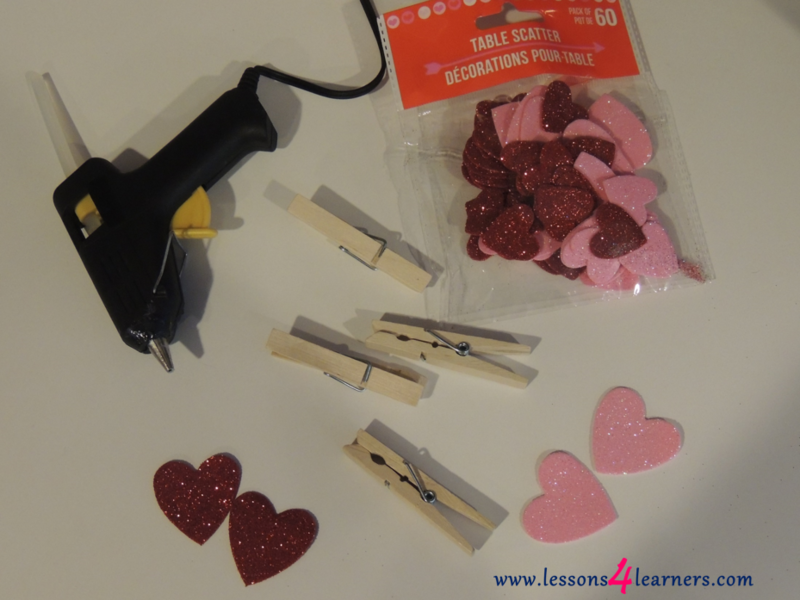 Create the stamps by hot gluing the foam hearts to the clothespins. 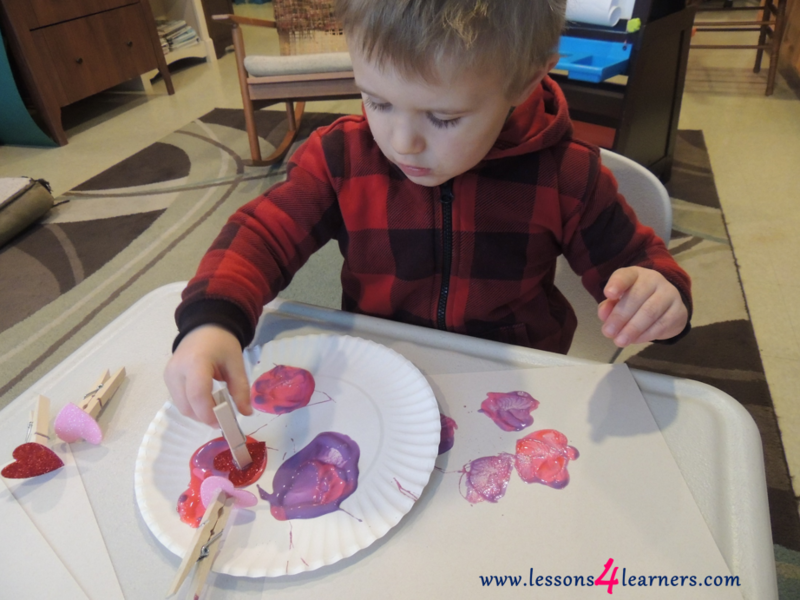 Set out paint, paper, and stamps in an inviting area for student to create. 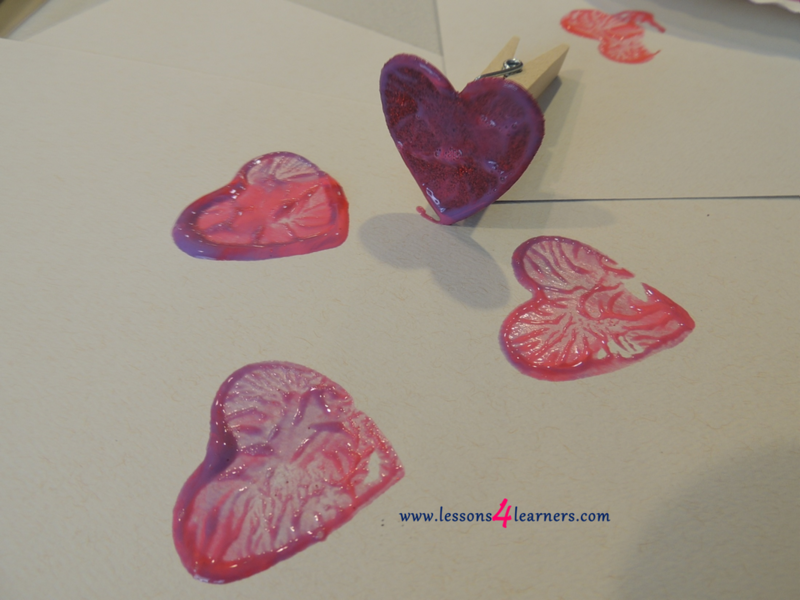 Encourage the child to try stamping on their own. 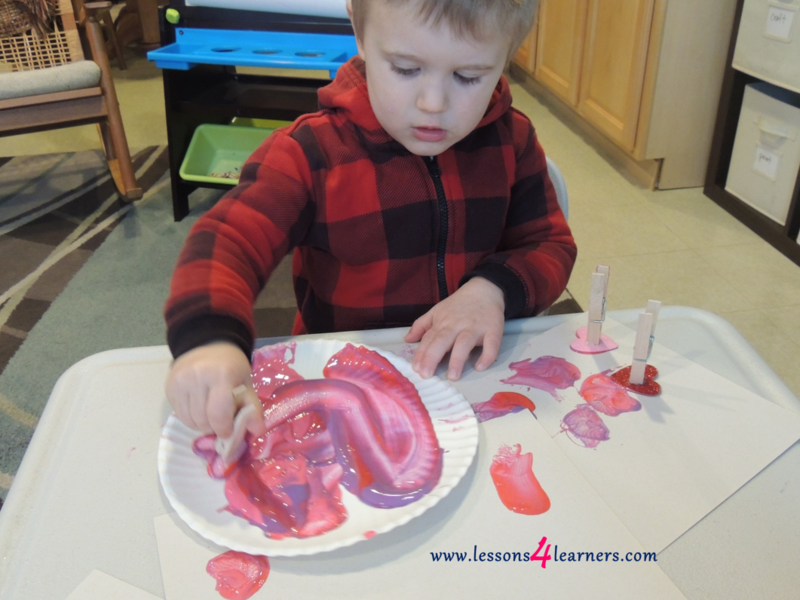 As the child creates, ask open-ended questions about the activity. When the child is finished, allow their work to dry. 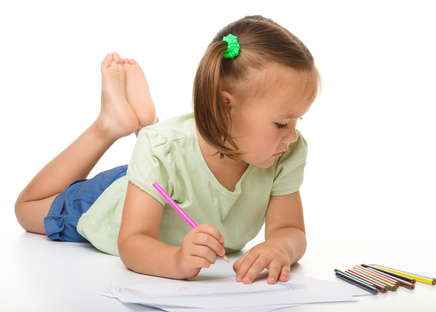 Observe and record the child’s small motor skills and hand-eye coordination. Were they able to control the clothespin and use it as a stamp? Record conversations or ideas the child said during the activity.